Has The Purge franchise really been around for five years? It seems like the series has been around for much longer, but it never really made as big of a splash in the pop culture zeitgeist as people thought it would. I mean, with a premise as solid as "all crime is legal for 12 hours," how could you go wrong? Well when you decide to make every movie in the franchise about how people just want to murder each other, then it just becomes another slasher franchise but with none of the creativity that Nightmare on Elm Street or Friday the 13th bring. The biggest villains in the franchise are a group of crusty old white men and the occasional psychopath that stalks our heroes. What I'm saying is that the franchise should have made a lot more impact than it has. Wasted potential aside, it looks like the next Purge movie is going to bring the franchise to a close. While there is no title yet, series director James DeMonaco is psyched as hell to be ending it and said to Entertainment Weekly one of emptiest quotes I've heard in quite some time about how he wants to end it all. 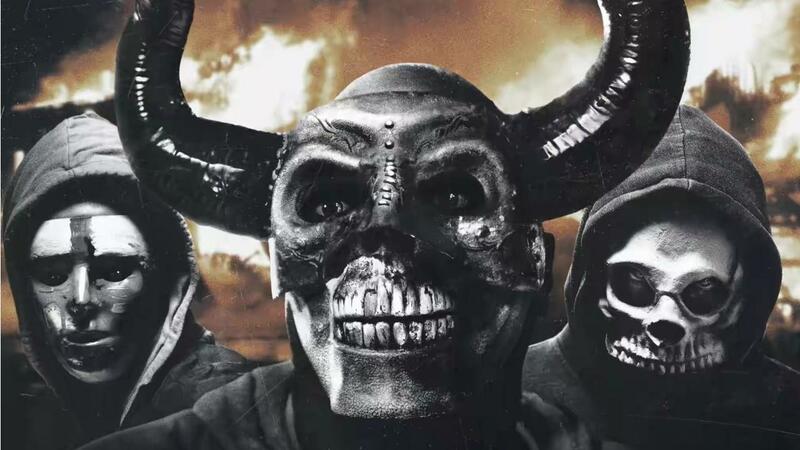 So we've essentially learned nothing about the final Purge movie except that it's going to be, like, really super cool. Do you think that we'll get a movie that goes beyond psychopaths trying to kill good guys because humans are eeeeeeeevil? Can we get a movie that actually explores the premise of ALL crime being legal, like seeing the final movie be about a heist where all of the money stolen is legally okay to steal? Probably not, cause those Purge movies rake in a healthy supply of money as long as they're about disappointing murder fantasies.